Can Alibaba outshine the tech giants in the U.S.? For all the great expectations of Alibaba’s upcoming public initial offering on Friday, some people are missing the point of what the Chinese giant does and in what level it best performs. Indeed, the IPO is going to be the largest of its kind, and there’s no stopping Alibaba from expanding into the U.S. soil. Some analysts speculate that Alibaba, once it starts doing business in the United States, will compete with Amazon or Google. But of course the line in which Alibaba operates is very much different from the ways of Amazon and Google, yet again two giants in their own respect. The Chinese company, for one, only facilitates the selling of goods online, which is vastly different from how Amazon operates. Even before Alibaba is going public, it is already earning whopping sums of revenues. The company’s income comes from various business units. For example, it is affiliated with Alipay, an online payment titan that is much bigger than PayPal. 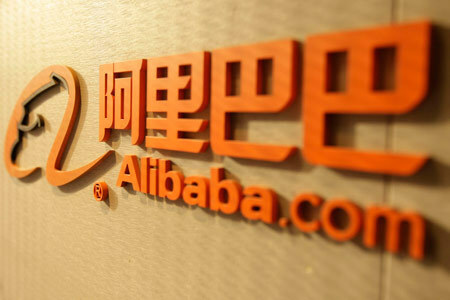 The service mainly caters to consumers buying products through Alibaba. The company also has Taobao, an eBay-like online business; AliExpress, which connects customers from outside mainland China to export companies; and Tmall, which enables big companies like Apple to connect to hundreds of millions of online shoppers within China. Aside from those mentioned, Alibaba also provides cloud services. The branches of Alibaba’s business are every indication that the company has the capability to extend into almost every aspect of online-based enterprise. It is already a giant in China, now it is poised to grow worldwide. Going by the sales figures, Alibaba generated $296 billion in 2013 from its consumer marketplace, which pales eBay’s $76.5 billion in sales for the same year. The company also has no control over its inventory, unlike Amazon, which is one advantage because Alibaba online manages the marketplaces through which goods are sold, and does not handle the goods themselves. In terms of deliveries, Alibaba coordinates them, not perform them. Because the Chinese company only has to worry about its digital overhead, Alibaba is able to increase its profits compared to other companies in the United States. In fact, in 2013 the company’s net profit rose 44 percent, and it is in itself a big leap from the previous years’ earnings. On the other hand, Amazon only saw a net profit margin of not more than 1 percent in the same year. But more than the figures, Alibaba needs to sustain growth in the future and it has to show concrete plans to investors to keep going for the longer term.